Oak Gardens is a 30-unit garden-style apartment community in Doylestown, PA. The asset sold in June 2017 for $3,788,250. 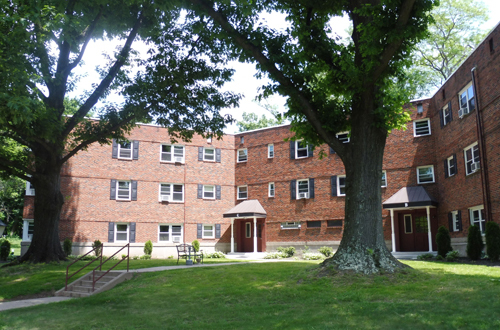 DOYLESTOWN, Pa., June 28, 2017 – Marcus & Millichap (NYSE: MMI), a leading commercial real estate investment services firm with offices throughout the United States and Canada, announced the sale of Oak Gardens, a 30-unit apartment building located in Doylestown, Pa. The asset sold for $3,788,250. Clarke Talone, first vice president investments, Ridge MacLaren, senior vice president investments, and Andrew Townsend, first vice president investments, all within the firm’s Philadelphia office, had the exclusive listing to market the property on behalf of the seller. The team also procured the buyer. Oak Gardens is located at 355 North Street in Doylestown, Pa. The three-story, mid-rise building was constructed in 1950, and has undergone vast renovations, including new windows, new kitchens, a new heating system, and common area upgrades. The 30-unit building is comprised of one- and two-bedroom units.